Carpets aren’t a cheap decoration and it is in your best interest to extend their lifespan for as long as possible. There aren’t many ways to do this, but we are here to offer you an affordable and reliable solution – professional carpet cleaning services. 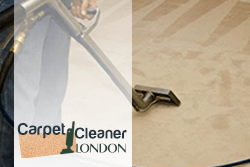 Our carpet cleaning service in Uxbridge is carried out according the highest cleaning standards and we guarantee that you will be satisfied by the final results. A study conducted by some of the most popular carpet manufacturers shows that carpets which are professionally cleaned at least 2 times a year have a longer lifespan than non-maintained carpets. This means that for a small fee, you can extend the life of your carpets with several years and save a lot of money. If you book our services, your carpets will be cleaned by trained cleaning operatives who have been in the business for years. 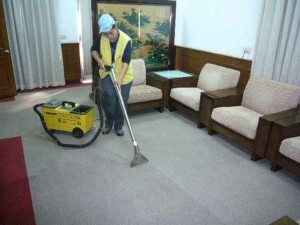 They utilize modern cleaning method and use the powerful cleaning equipment to achieve the desired results. We supply them with the necessary products and equipment, so our clients don’t have to supply any materials. Of course, we won’t charge you extra for the materials used, so don’t worry about hidden taxes and fees. We use modern cleaning products which are environmentally-friendly, biodegradable and anti-allergic. This means that they are safe for humans and pets, and won’t leave any toxic residue behind. Call us if you need more information about our carpet cleaning procedures. Carpet cleaning is a job best left to our skilled and experienced professionals, who operate across Uxbridge and the neighbouring boroughs. There are plenty of reasons why you should choose us among other cleaning contractors in the area. We offer sensible rates for a service that is carried out up to par with the highest standards in the trade. Our schedule is rather flexible and allows us to service customers at times that suit their busy daily rounds. In addition, we have adopted the hot water extraction technique – the call of the day in the professional carpet cleaning at the moment. We never compromise when it comes to our customers’ satisfaction!